This page shows our full range of Plantronics wireless headsets, all at Australia’s lowest prices – guaranteed! Plantronics headsets are famous for their durable build and outstanding audio quality, with particular attention given to user comfort. 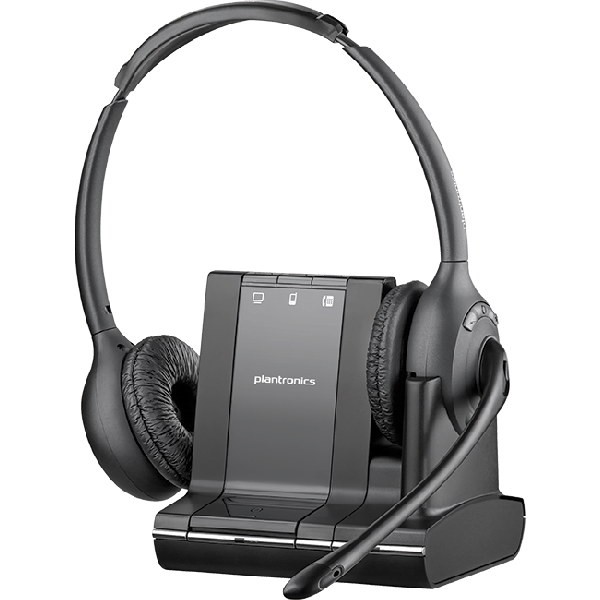 Browse our range of Plantronics wireless headsets below or for some friendly advice give our Headset Experts a call today on 1300 889 728. 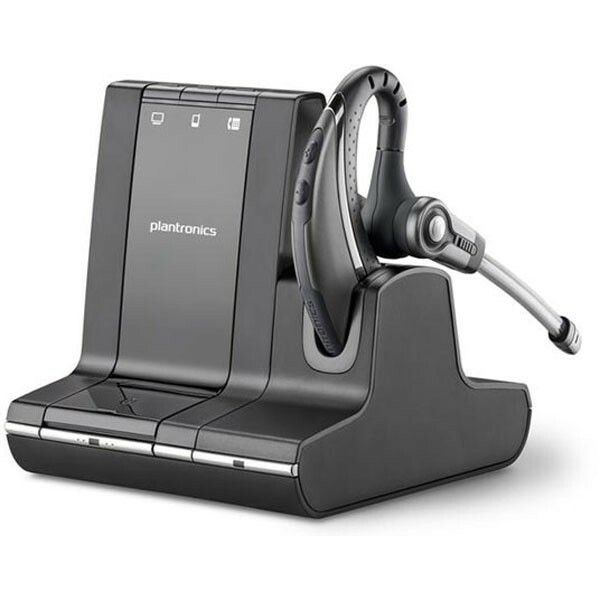 Why is a Plantronics wireless headset better than a Plantronics corded headset? A Plantronics wireless headset offers the same exceptional Plantronics sound quality as their corded headsets but you have the freedom to move. Many people think that a wireless headset is somehow inferior for sound because it's wireless. This is simply not the case. 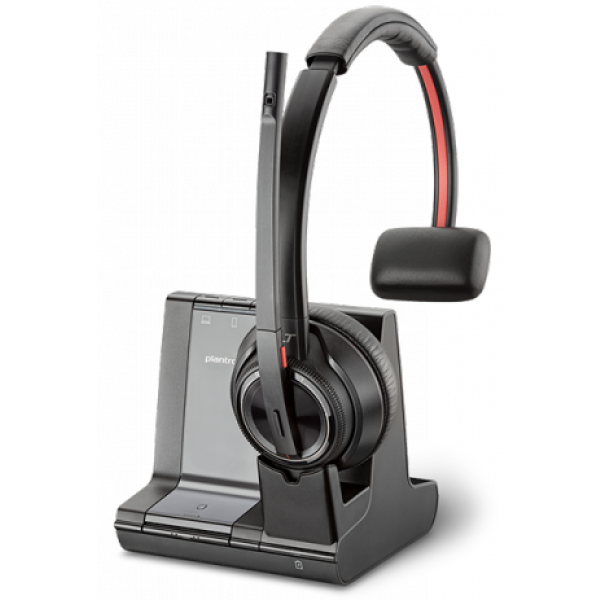 In fact, the Plantronics wireless headset range offers the latest technology only found in much more expensive Plantronics corded headset options. With no cables and cords you can now walk up to 100+ metres away from your desk. In a typical office the range of a Plantronics wireless headset is dependent on environmental factors however you should expect at least 50 metres. 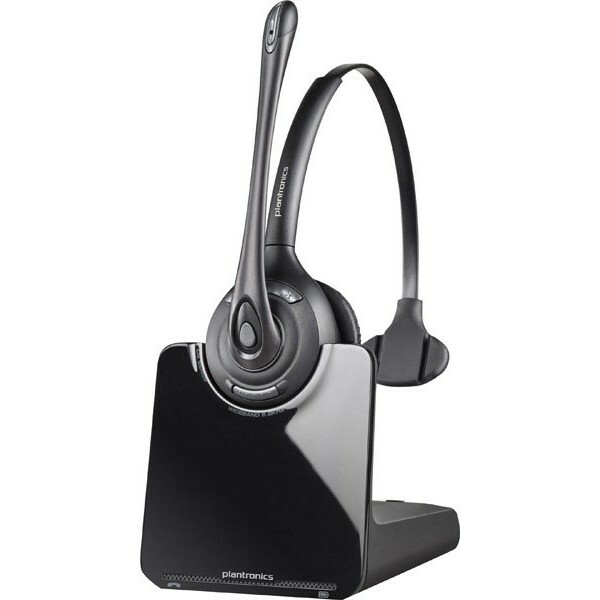 Can I answer calls away from my desk phone with a Plantronics cordless headset? No. Even the top of the line Plantronics Savi 720 headset won't allow this. 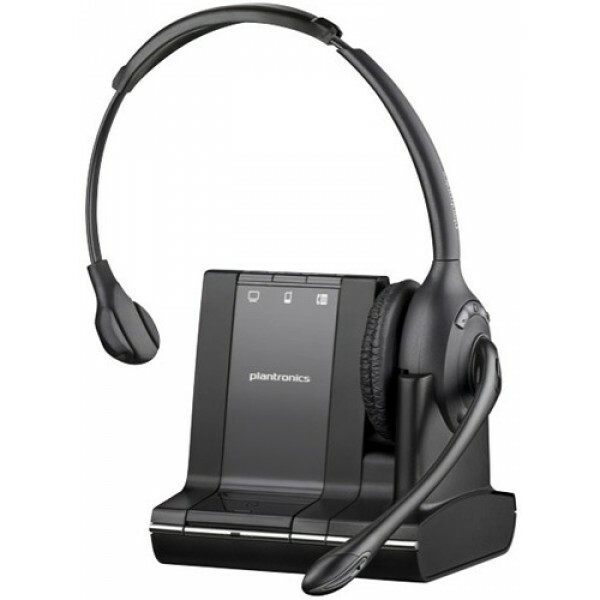 Every Plantronics wireless headset needs either a HL10 lifter or a Plantronics EHS ( electronic hookswitch). These devices allow you to answer and end calls when you are away from your desk. 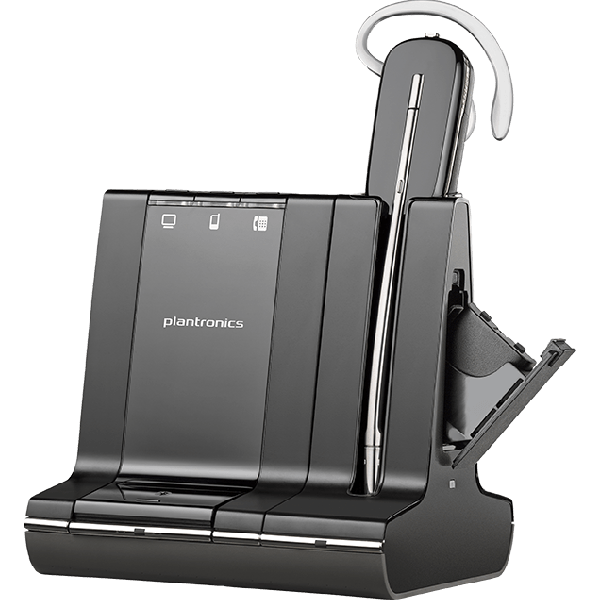 The Plantronics EHS option is better however you need to have a more modern phone handset and only certain brands will offer this option - Polycom, Cisco, Avaya, Alcatel, Siemens, Tenovis or Nortel handsets. How does a Plantronics wireless headset lifter or electronic hookswitch (EHS) actually work? When you are away from your desk the headset beeps in your ear to notify you of an incoming call. To answer the call you simply touch the button on the side of your Plantronics wireless headset and this sends a signal pack to the lifter or hookswitch to answer the call. To end the call you simply tap the button again. You can’t transfer calls from any wireless headset only answer/end calls. 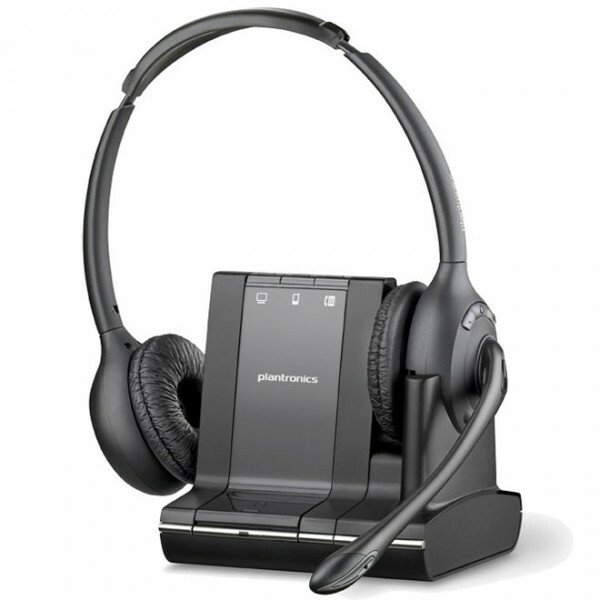 No Plantronics wireless headset will allow you to transfer calls, or any headset for that matter. This is only a function of the phone handset and system. There are some companies online that sell grey imports and fake Plantronics wireless headsets. Simply Headsets only sell genuine Australian delivered Plantronics headsets. This is why all our headsets, from all our brands, come with comprehensive Plantronics warranties, aftermarket support and our 30 day satisfaction guarantee so you’ll never end up with a lemon. If you buy fake headsets or grey imports you don't have this protection so caveat emptor. 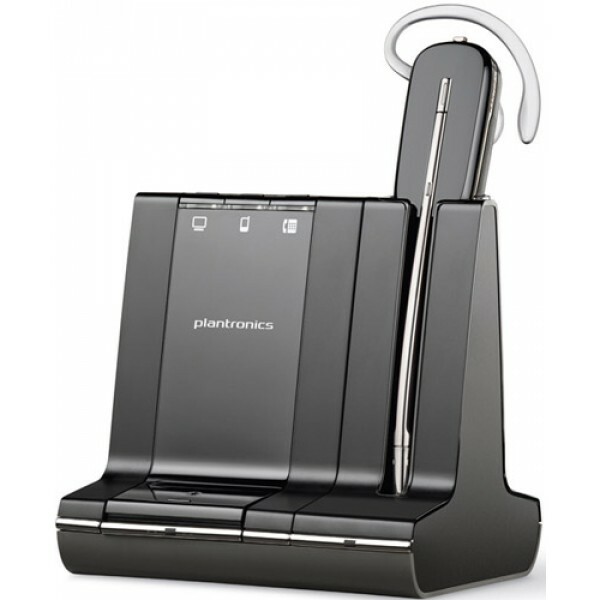 How is a Plantronics wireless headset different from a Plantronics Bluetooth office headset? Both Plantronics wireless and Bluetooth headsets have no wires but they use different technology. If you're buying a Plantronics Bluetooth headset for your mobile phone then it's using Bluetooth to connect. 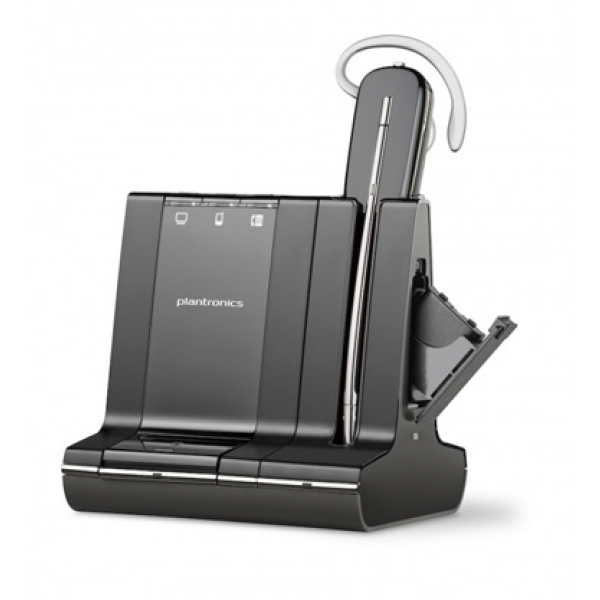 With a Plantronics office headset they use DECT technology which is much better and gives a range of over 100 metres versus the 11m range for Bluetooth. 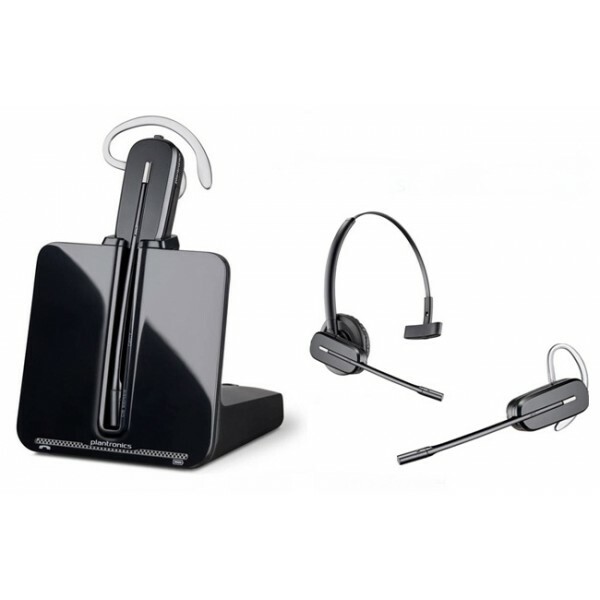 Some Plantronics headsets like the Savi 710, Savi 720, Savi 730 and Savi 740 actually use both technologies together. They use the DECT component to connect for the desk phone and the Bluetooth to connect to the mobile phone. 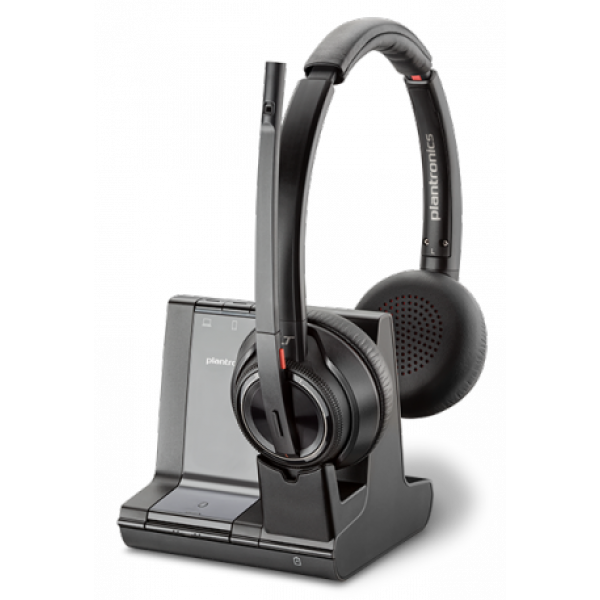 For their normal CS500 series headsets like the Plantronics CS540 only use DECT as there is no mobile phone functionality. 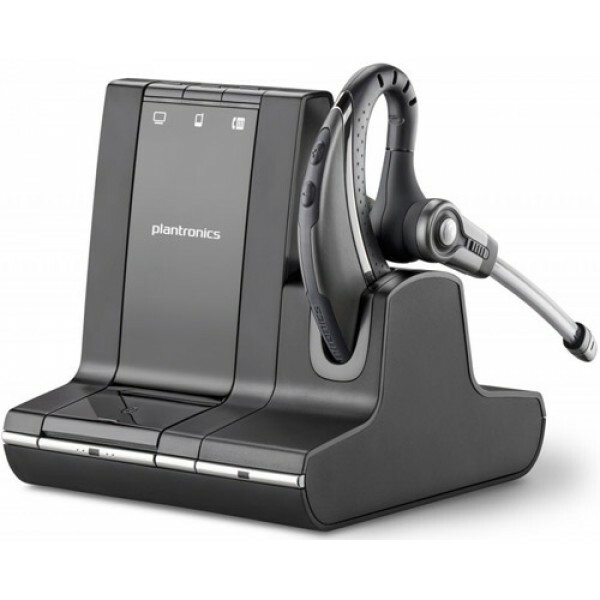 Does a Plantronics wireless headset work with any desk phone? 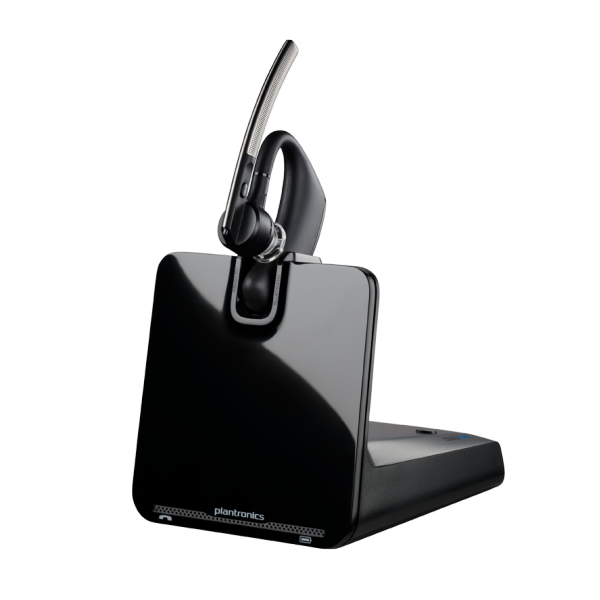 Unlike a Plantronics corded headset model that needs a special cable depending on the brand of the phone system, a Plantronics wireless headset works with any phone you many have – even a cheap home phone. It's because they connect to a common size RJ which is where your handset curly cord plugs into. Yes. You can actually use both devices, although not at the same time. Once you have returned your Plantronics headset to its charging base you handset is free to use again. Some advanced phone brands like the cisco and Avaya actually allow you to click a button to decide which device you’d like to use. It's got little to do with the quality of the headset and more to do with the functions the headset performs. Even the cheapest Plantronics CS540 wireless headset offers fantastic speaker and microphone quality. The key difference is in devices these Plantronics wireless headset models can work with. Most people want a wireless headset for their desk phone only. These are available for $2-300. The next price range, $300+, is for Plantronics wireless devices that can work with your desk phone as well as your computer and/ or your mobile Bluetooth device as well. The more it does the more you pay...it's that simple. 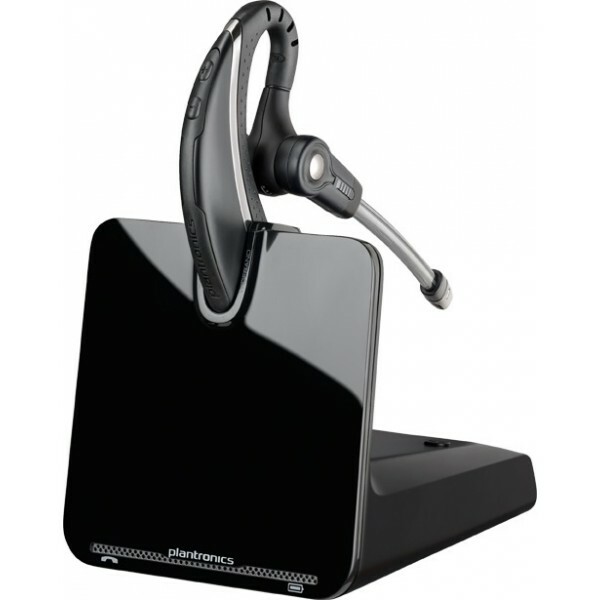 Reduce neck strain with a Plantronics wireless headset. It’s probably no coincidence that Plantronics wireless headsets are endorsed by the Australian Physiotherapy Association. They stop neck strain and other associated injuries that people incur when trying to multitask with a phone up against their neck. 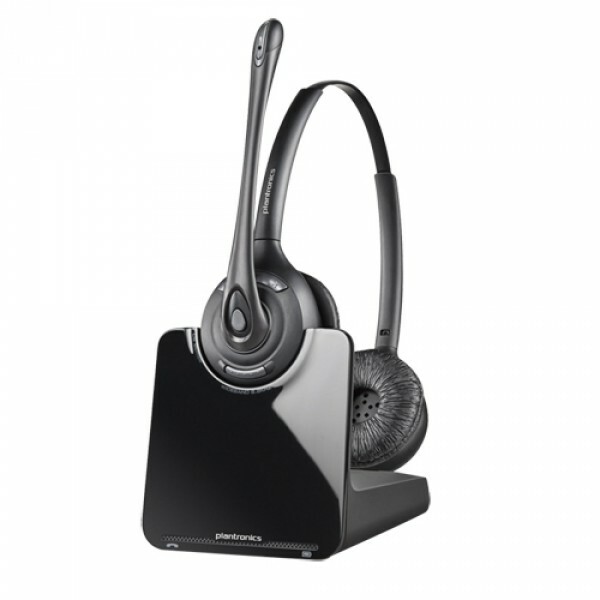 It's a problem you'll never have again with the cordless luxury offered by a headset. In noisy environments a Plantronics binaural headset like the CS520 or Savi 720 is an excellent idea. It cuts down much of the surrounding noise. If you're in a normal office then a one ear model (monaural headset) like the CS510 or Savi 710 are more than adequate. Plantronics also recommend binaural if you spend more than 4 hours a day on your headset. Does noise cancellation on Plantronics wireless headsets work? It actaully works brilliantly. Plantronics noise cancelling mics on a cordless headset will eliminate about 60-70% of this background noise. You can even buy ultra noise cancelling wireless headset options that are simply astounding however none of the Plantronics range actually offer this. Check out the Sennheiser DW Pro 1 if that's what you want. Is Plantronics the best brand to buy? It's actually a very tough call and probably the reason Simply Headsets gives you choice. There are some fantastic wireless headset models avaiable from the big 3 manufacturers in Sennheiser, Jabra (formerly GN Netcom) and Plantronics. Plantronics has been number 1 forever but Sennheiser have phenomenal sound quality and Jabra have some of the coolest touch screen models available. Our advice is the brand of wireless headset is not necessarily as important as the features and wearing style you require. Unbeatable prices on all Plantronics wireless headsets – guaranteed! Now all you need to do is call our friendly experts a call on 1300 889 728 to place your order and enjoy the benefits of quality sound and comfort provided by our Plantronics, wireless headsets in no time. *Multiple Plantronics wireless headset discounts available on retail purchases only. Offer excludes government and corporate buyers. To learn more about government and corporate pricing call us on 1300 889 728.